LPG gas cylinder prices (subsidy and non-subsidy cylinder rates) have been further up in April 2019. In March 2019, the prices also rises but for the previous 3 months i.e in December 2018, January 2019 & February 2019, the prices were reduced. All the people can now check the LPG Gas Cylinder New Prices (14.2 kg cylinder rates) in top metro cities like Delhi, Kolkata, Chennai, Mumbai & in other cities. These new LPG cylinder rates would remain applicable for the entire month of April 2019 starting from today onward. All the people can even compare these new cylinder rates with LPG Gas Cylinder prices in previous months. All the citizens can now check both the subsidized and non-subsidized domestic gas cylinder rates to know the total amount which customer will have to pay to buy cylinder this month. In addition to this, people can also calculate the subsidy amount to be transferred into their bank accounts. It is important to note that the prices of both the subsidized and non-subsidized LPG gas cylinders are revised by OMCs on 1st date of each month. Moreover, central govt. only provides subsidy on the first 12 gas cylinders to every family in one year under the direct benefit transfer (DBT) scheme. Citizens can even check prices of 14.2 Kg LPG Subsidized / Non-Subsidized Gas Cylinders for April 2019 in other cities through this link – LPG Cylinder Rates in Other Cities April 2019. In the current month of April 2019, the price of non-subsidized LPG cylinder in Delhi has been increased by around Rs. 5 per cylinder while the rates of subsidized LPG cylinder has been increased by Rs. 0.25. 14.2 KG LPG Gas Cylinders on Subsidy – The subsidized gas cylinder prices were on a hike from 491.21 in May 2018 to Rs. 507.42 in November 2018 and had gone up by Rs. 16.21. But then for the next 3 months, these prices were reduced. This reduction was Rs. 6.52 per cylinder in December 2018, Rs. 5.91 in January 2019 & Rs. 1.46 in February 2019. 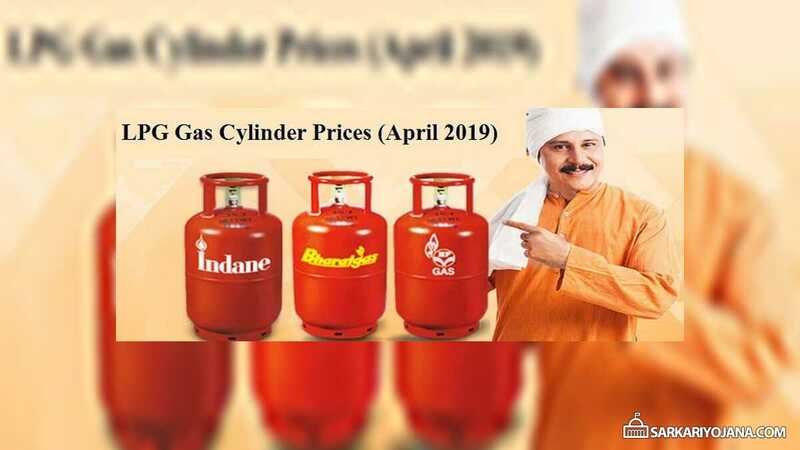 In March 2019, the prices of LPG gas cylinders have been hiked by Rs. 2.08. In April 2019, again the prices have been hiked by Rs. 0.25. 14.2 KG LPG Gas Cylinders without Subsidy – For non-subsidized cylinders, IOCL has reduced prices by Rs. 133 in December 2018, Rs. 120.5 in January 2019 and Rs. 30 in February 2019. But for the month of March 2019, these prices have been hiked by Rs. 42.50. In April 2019, the prices have been raised by Rs. 5. The subsidy amount varies on a monthly basis as per the changes in the average international benchmark LPG rate and foreign exchange rate. Whenever international oil rates move up, the central govt. provides a higher subsidy and when oil rates comes down, subsidy is cut. The subsidy amount to be transferred into the bank account of the customers is now Rs. 210.64 in Delhi, Rs. 233.50 in Kolkata, Rs. 184.93 in Mumbai and Rs. 238.26 in Chennai per cylinder in April 2019.